Lauren Yee is not sure Chinatown is worth saving. Her father Larry, the titular “King of the Yees,” earnestly dedicates himself to the community. Together, they carve out a new legacy for an aging Chinatown, inspired by their love of both tradition and change. 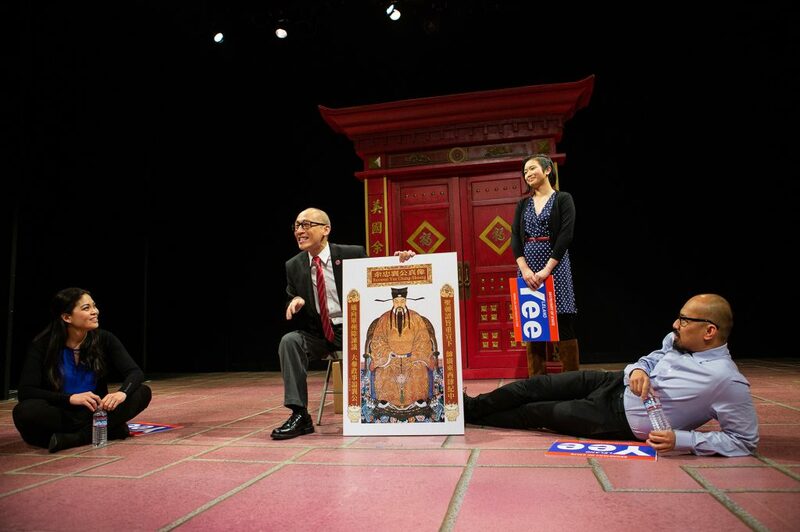 Lauren Yee has written herself into her play, so I will call the playwright Yee, and the character Lauren. 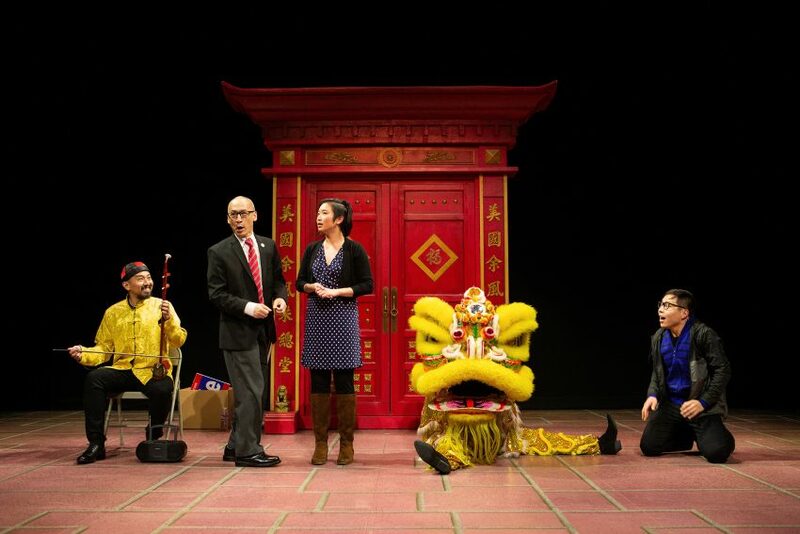 Lauren (nimble Krystle Piamonte) is staging her new play at her father’s club, the Yee Fung Toy Family Association. Her two-person play features Actor 1 (multi-talented Jomar Tagatac) as Larry Yee, and Actor 2 (sensational Rinabeth Apostol) as Lauren. 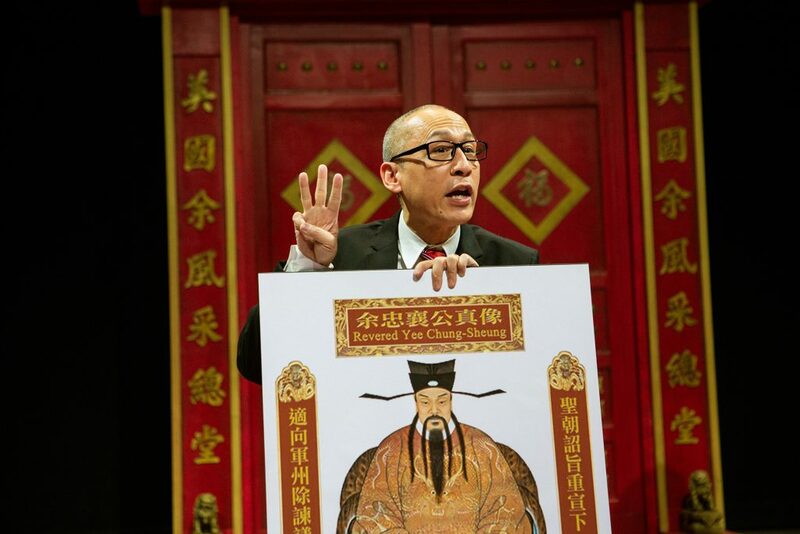 But when the “real” Larry Yee (magnificent Francis Jue) bursts in, the rehearsal quickly unravels. 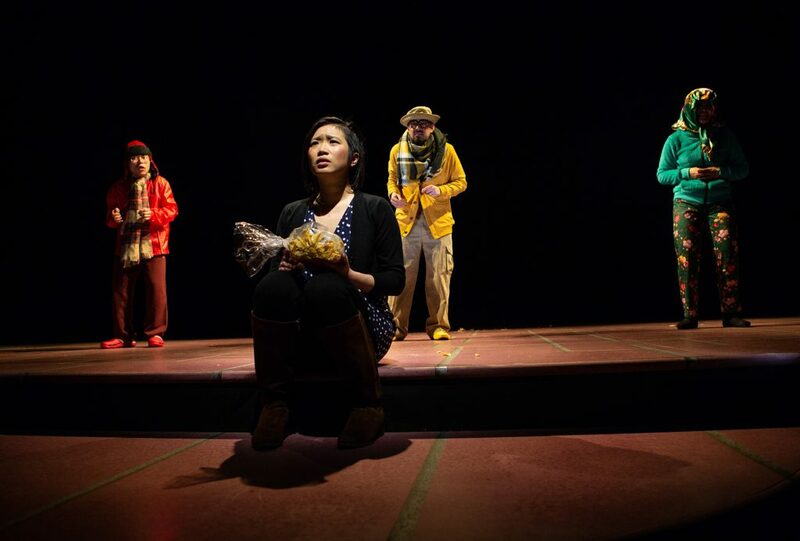 Next, Yee launches us on a wild joyride through Chinatown that’s part play-within-a-play and part “Wizard of Oz.” Each scene has me cracking up, from an audience Q&A session to a rapid-fire dance montage—better than any viral YouTube sensation! Lauren struggles to be worthy of Chinatown. 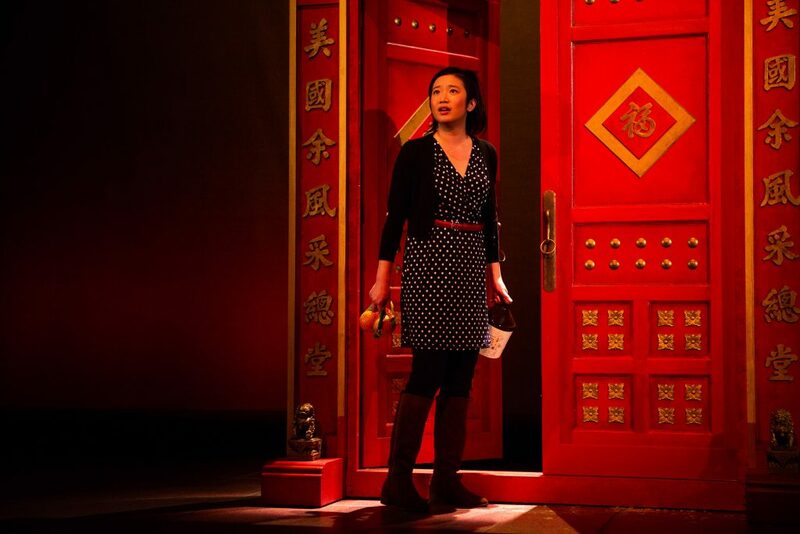 Scenic Designer Bill English gives us a pair of magnificent, red and gold Chinese doors that dominates the stage, representing the barrier between Lauren and her traditions. Her father Larry tells Lauren the doors can be opened by any “true Yee,” a family legacy extending back thousands of years. 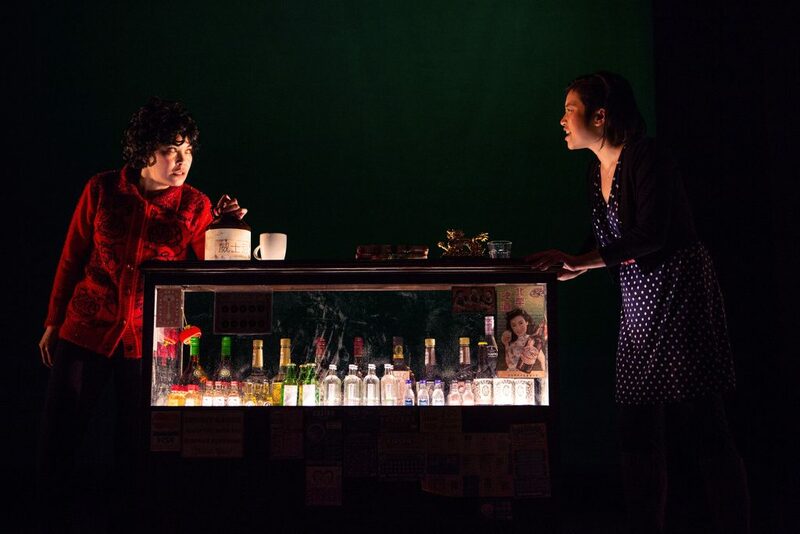 But Lauren hardly feels connected to the culture of Chinatown, creating a gulf between father and daughter. After all, what is a “true Yee”? The cast of “King of the Yees” offers a buffet of hilarious and heartfelt performances. 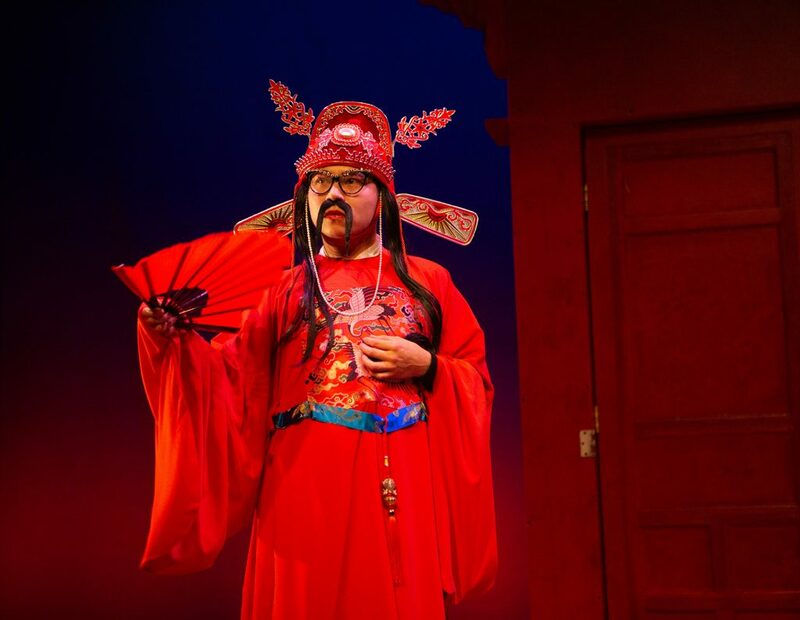 As Larry, Francis Jue brings an infectious buoyancy, with a twinkle in his eye that you can see from the back row. Will Dao takes on at least three different roles, most strikingly a Chinese lion dancer plucked from a Chinese New Year parade. Jomar Tagatac and Rinabeth Apostol share a side-splitting lesson on imitating a Chinese accent, making me cringe and then, laugh out loud. 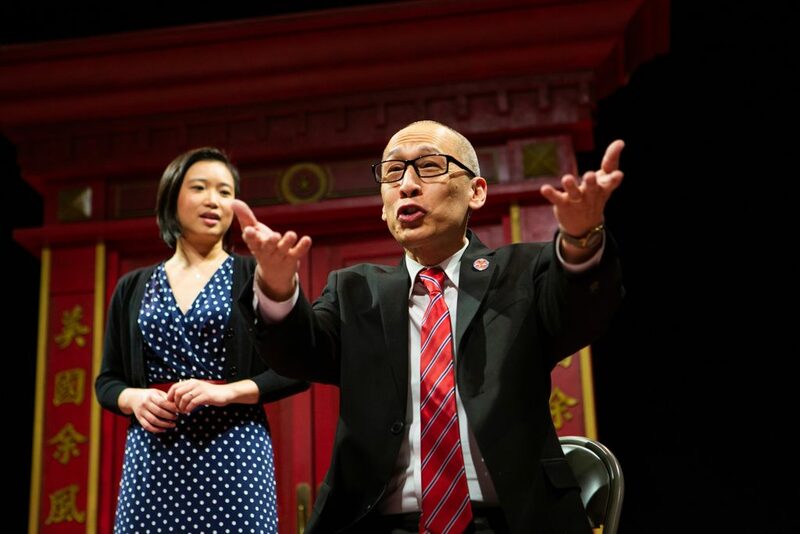 Playwright Yee has taken on the grand task of writing a show that challenges Asian stereotypes, celebrates her father, and reconciles her feelings towards Chinatown. “King of the Yees” succeeds because it directly engages us. When Larry Yee talks about the importance of voting as a community, it isn’t symbolic—he passes out voter registration forms to the audience. 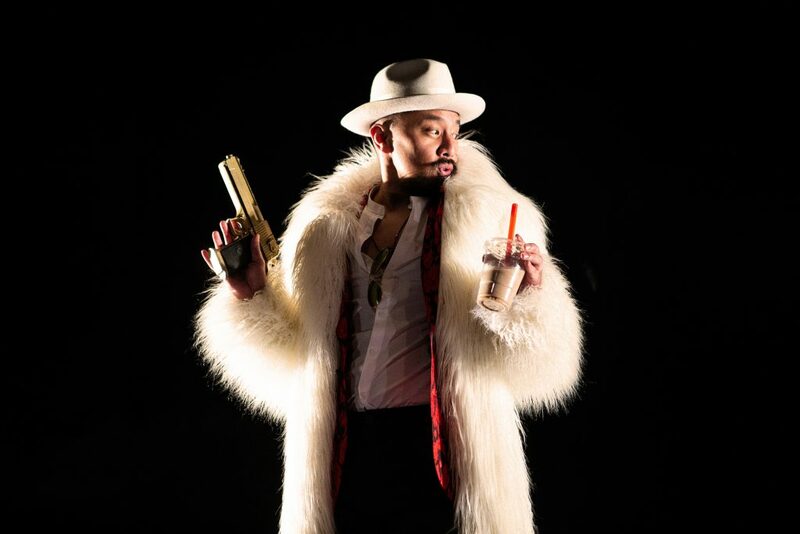 Rich in meta-theatrics, “King of the Yees” leaves no mystery about the playwright’s intent. 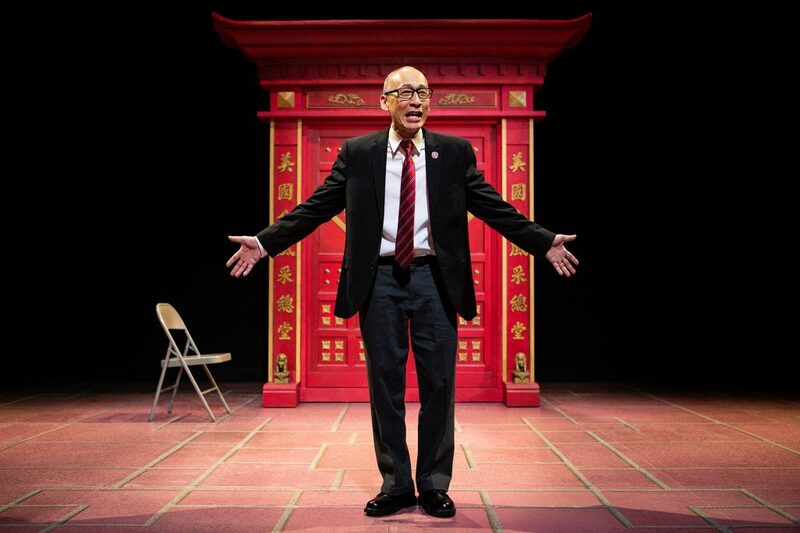 As Lauren says, “This is a story, a true story, about my dad, about dying Chinatowns, about how things fall apart, and how to say goodbye.” Like Lauren, character and playwright, we are left with a new understanding of Chinatown’s legacy and a warm spark of hope for its future. Cast: Rinabeth Apostol, Jomar Tagatac, Francis Jue, Krystle Piamonte, and Will Dao.